Bias Busters guides have covered faith, race, ethnicity, gender and will now focus on religion for several years. Here is an opportunity to put your scholarship to work on a print and digital religion guide. Since 2014, Michigan State University’s School of Journalism has been publishing guides to greater cultural competence. Our latest, out this spring, answers 100 questions about Chaldeans. Not widely dispersed or known in the United States, Chaldeans are Catholic Iraqis who are keeping Aramaic alive. They became prominent in 2017 when several hundred were detained for deportation to Iraq, fallout from the proposed ban on visitors from Muslim countries. In Iraq, Christians face persecution from the government and extremists. Deportation would divide families, and some say it would be a death sentence. 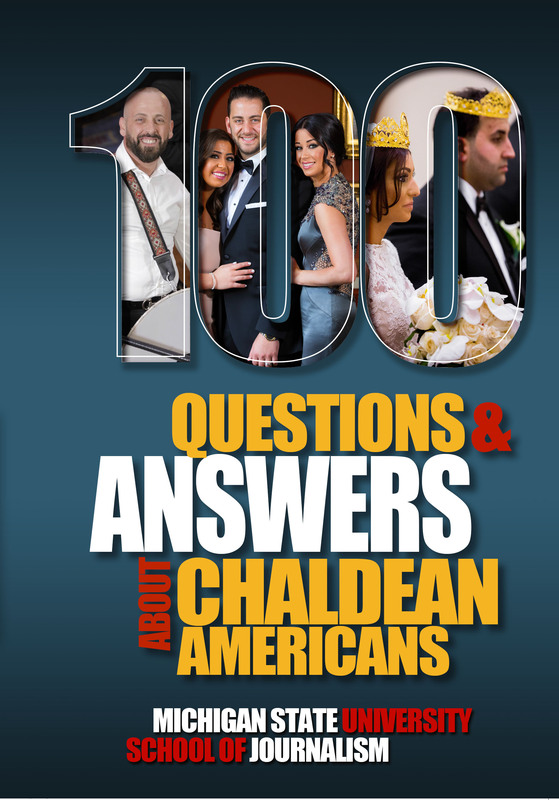 “100 Questions and Answers About Chaldean Americans” is our 15th Bias Busters guide. All are available as print or digital books on Amazon, Barnes&Nobles, Google Play, iTunes and Kobo. We have used text, of course, and video, audio, charts, maps and motion graphics to answer questions. Our goal is to publish accurate, authoritative, accessible guides that help people overcome their awkwardness about talking to their neighbors and co-workers by giving clear answers to their basic questions. This is where RMIG members come in. With guides about Judaism and Islam, we found that interfaith groups love these guides for group discussions. Pivoting from Chaldeans, we will now focus several guides to increase understanding about faith groups in the United States. This year we will publish guides about Hindus and Buddhists. With 2020 election politics in mind, we will next move to Evangelical Christians and the Church of Jesus Christ of Latter-day Saints. 1. Please email me at joe.grimm@gmail.com and tell me you can be a reader on any of these next four guides. We always recruit critic/allies to ensure accuracy. Perhaps one of these subjects lines up with one of your areas of expertise. We will send copies of the guide you help on and credit you in it. 2. Suggest what faith group you think we should do after these. The Black Church? Anabaptists? Where do you see interest or bias that should be addressed? 3. Ask me for a guide, any guide that we have already published. They are all here. I will mail you one so you can see what we do. This entry was posted in Opportunities, Teaching strategiesBookmark the permalink. .